Fran Tremaine Kirk lives near Buffalo, NY, with her dog, Horace. 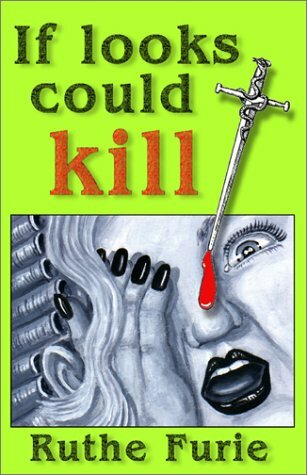 When her abusive ex-husband dies while trying to kill her, Fran tries to jumpstart her life by taking a job as a Gal Friday, which turns out to be more dangerous and not nearly so simple as it was touted by her quirky employer. Her office is upstairs over a beauty parlor called Looks, where a murder is committed shortly after her arrival. Fran gets frightening messages on her answering machine, fights off attacks by a sinister masked man, and finds herself smack dab in the affairs of the local mob. Just because there is a murder to investigate doesn't mean she can neglect her duties for her shady boss. The calls for the dating service and the orders for articles that can only be sent in plain brown wrappers must be attended to. She needs the job. Her life has been on hold too long. So when a blue-eyed policeman on duty at the murder scene smiles her way, she starts to dream but is frightened silly. Their friendship bumps along a rather rutted road as Fran gets drawn into the search for a killer. About Ruthe Furie (Author) : Ruthe Furie is a published author. Published credits of Ruthe Furie include A Deadly Pâté (P. I. Fran Kirk Mysteries), A Natural Death (P. I. Fran Kirk Mystery), If Looks Could Kill.